B2B marketing is dynamic and evolving. Due to the innovation that is happening in technology, the world of marketing is moving very fast. While there are so many tech trends that are influencing the changes, the overall concept remains simple – the buyer or customer is in total control of all things. The traditional method of leading the customer is now replaced by the new way of supporting the customer and meeting their needs and requirements. And now it is the technology which is driving them. Today, it is becoming tough to find an industry that is not influenced by natural language processing, machine learning and other facets of artificial intelligence (AI). Across many industries, you will find artificial intelligence is driving automation efforts – starting from stock picks in financial markets to helping power the next generation of self-driving cars and equipment. It is more interesting to find that AI is redefining current models of influencer marketing. Big brands such as Google, Facebook and IBM are using AI algorithms to help brands finding the right influencers. Chatbots, image recognition and predictive marketing are what is playing the central role this year. And it is for sure Artificial Intelligence will undoubtedly become one of the biggest disruptors in the marketing industry. Brands such as Coca-Cola are using Artificial Intelligence to reinvent how consumers engage with their products through their smartphones. The Walt Disney Co. use language processing to trigger an audio soundtrack whenever a story is read aloud to a child. Imagine you talking or listening to your smartwatch or refrigerator or for that matter anything that wasn’t a mobile phone that would have you landed in an asylum. But thanks to the Internet of Things (IoT) it is now possible. 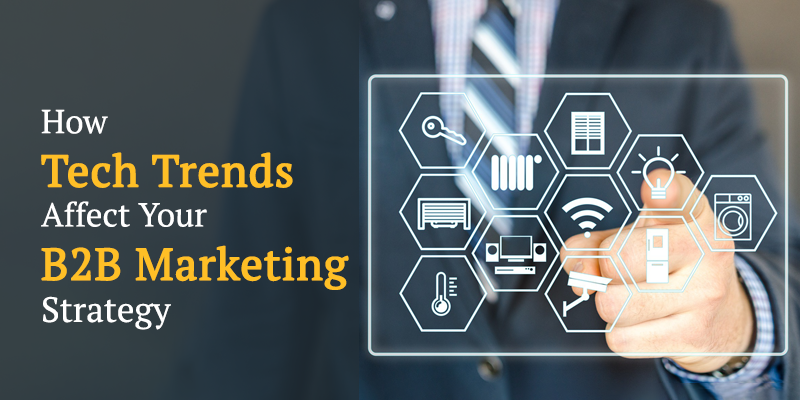 Smart, interconnected devices have for now opened a whole world of possibilities, especially for marketers who need to customise their marketing strategies now to interact with customers through this developing channel. You could see a sign of faith in the IoT, where big brands like Amazon are buying in. Amazon launched and invested heavily in AWS IoT, a cloud-based platform that helps connected devices to communicate securely with each other. 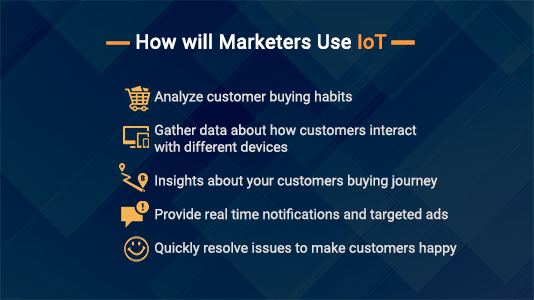 The IoT presents quite a unique opportunity where it synchronises offline customer traits and behaviours with that of digital experiences, helping fill the gap which comes in when you map customer digital personas. For example, the various technologies are of great help, like that of the smartwatches – Fitbit, Apple Watch and Nest Thermostat which can tell when a customer hits a gym, or a refrigerator which can map dietary habits of a customer. This helps marketers to design a marketing strategy for individual customers. When it comes to B2B technology companies, who have longer sales cycles, their traditional sales pipeline has become less efficient over time. Now, buyers are expecting more helpful and relevant touch points that come consistently at the right time. 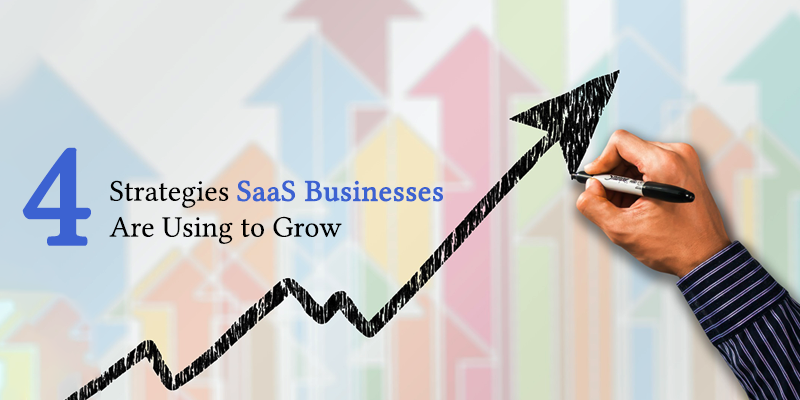 The only solution to the problem is to invest in sales enablement tools so that it efficiently helps your sales team and nurture more prospects. 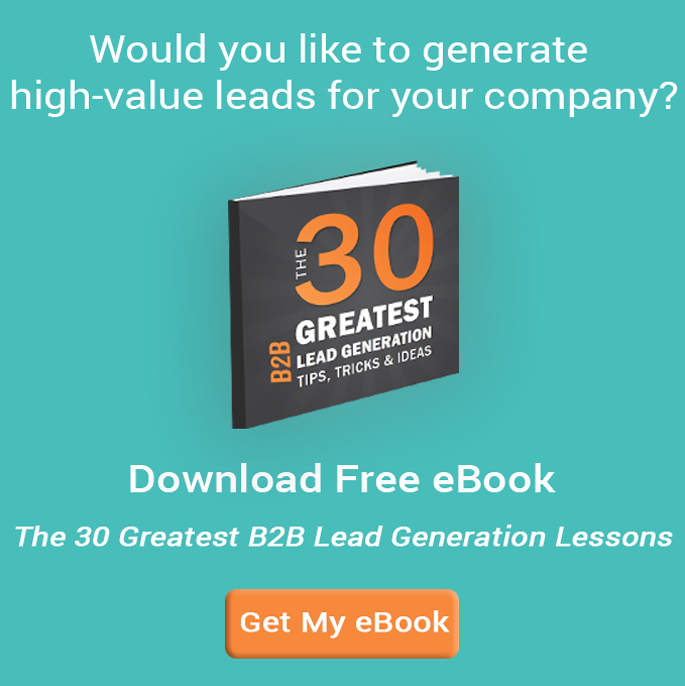 A great example of such a tool is that of HubSpot’s Sales suite. Tools include that of scoring high quality leads so that they are prioritised, automating email touch points, easily customisable templates emails for making sales follow-ups highly efficient. Although content like blogs, ebooks, white papers and infographics make the main component of inbound marketing strategies, to say video is at present emerging as a powerful tool is an understatement. As per Cisco, video will make up 82 percent of all consumer internet traffic by 2020, an increase from 70 percent in 2015. And around 74% of online traffic accounts to video. There has been increase in videos, due to the rapid rise of mobiles devices and also due to the high speed mobile networks. The main advantage with the videos is that it is highly engaging and does not take too much of users’ time. And for most of the companies, especially small ones, it is easy to produce a video as the video production equipment is no longer expensive. All one needs is a smartphone and also a good video editing software to start production of the video. In the year 2015, for the first time, the number of searches which were done on mobile devices, had surpassed the number of searches made on mobile devices. And this number has increased since then and is expected to continue to rise. Hence, it is necessary that all of your inbound marketing efforts are mobile-friendly and easily accessible. Your websites have to be mobile optimised, and emails should be more mobile friendly. In the recent times, Google has made several changes in their algorithm, again and again, to make search results hugely based on conversation search. This has in a significant sense helped to clear off the clutter of keyword stuffing and create an easy way for results that based on purpose. With voice-activated digital assistants like Siri, Alexa, increasing in huge popularity, it is expected that Google will make additional algorithm changes, which will impact the content we produce. More and more B2B organisations are leveraging technologies that provide better access to real-time customer behavioural data, so that it can be fed into predictive tools. This, in turn, helps in contextual engagement with the multiple buyer personas across the different organisations.